Below we have presented the key features and functionalities of Monflo software. It includes remote PC access using Android devices and playing PC games on Android. 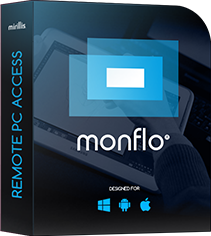 Check also our list of use cases for Monflo in business and personal use and see in practice how Monflo can be useful to you.